When you're celebrating the moment you will say "I Do" with your best crew, make sure you're doing so with a bachelorette party gift set that's the best around! 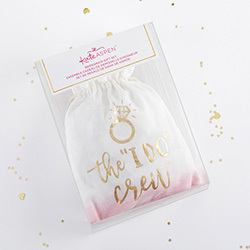 Kate Aspen's The I Do Crew Gift Set can also double as a bridesmaid gift or a gift for the bachelorette. Featuring a shot glass, hair ties and so much more, your girls will love it. 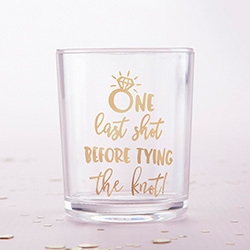 Gift set includes clear acrylic shot glass with gold foil text that reads "One last shot before tying the knot!" 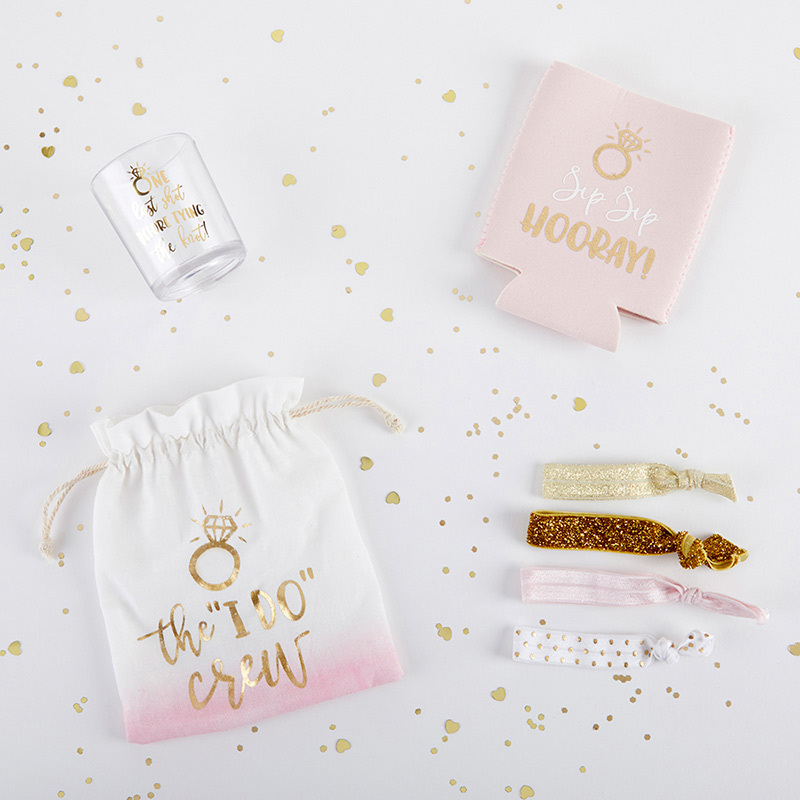 with ring icon; light pink foam drink sleeve with gold foil ring icon and text that reads "Sip, Sip, Hooray! 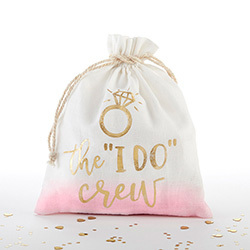 "; elastic hair ties in pink, gold glitter, metallic gold and white with gold dots; and white fabric drawstring pouch with pink dip-dye on bottom, gold foil ring icon and text that reads "The I-Do Crew" on the front. Products are hand wash only. Drink sleeve measures 4" w x 5" h x 2" d (open), Shot glass measures 2" w x 2.5" h x 2" d, Hair ties measure 3" w x 0.6" h, Fabric pouch measures 5.25" w x 6.5" h; Packaged gift measures 4.4" w x 6.2" h x 2.2" d.